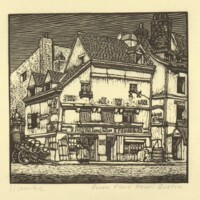 Miniature woodcut, black and white. 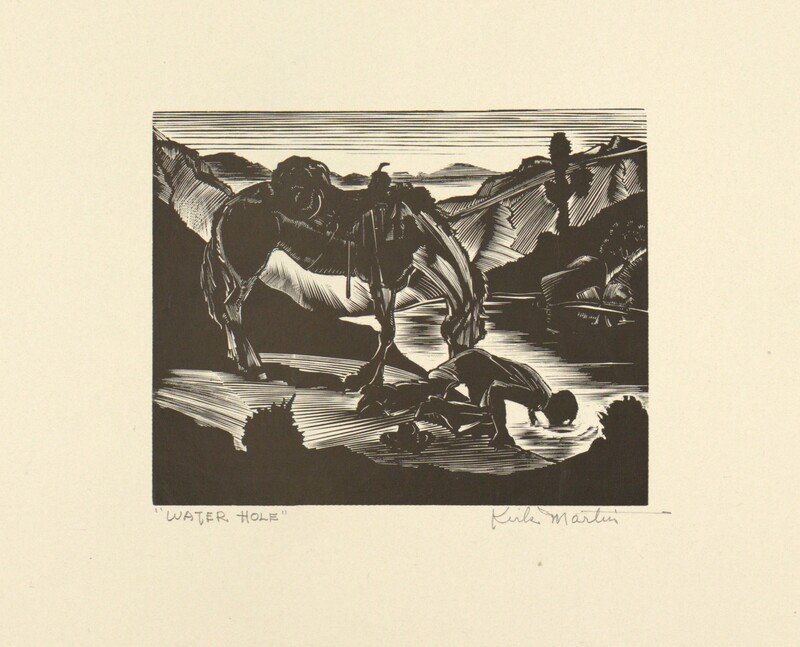 "Water Hole." Shows saddle horse and dismounted rider drinking water from a stream. Signed by artist in lower right corner. 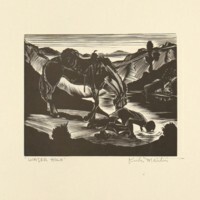 Martin, Kirk, “Water Hole,” Digital Exhibits, accessed April 22, 2019, https://cuexhibits.wrlc.org/items/show/173.